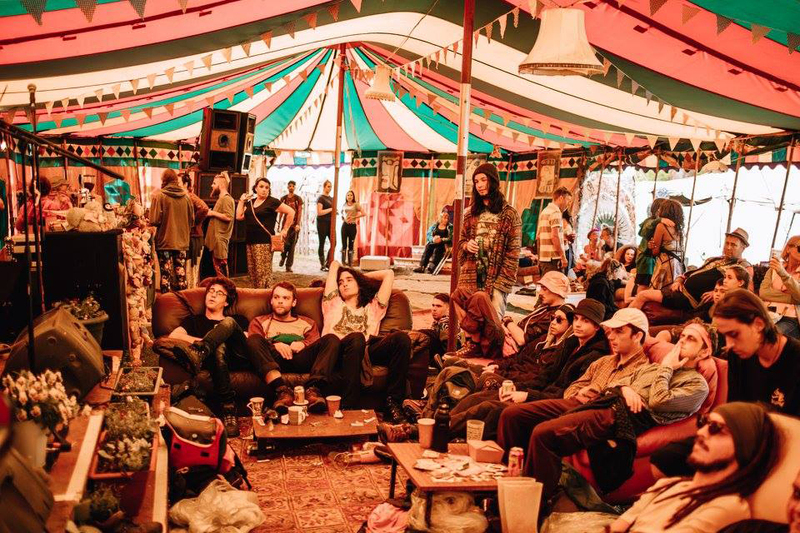 The mighty hand built tortoise shell stage hosts the festivals headline acts, featuring an array of live acts all weekend and closing each night with a dance act. The Devorgilla boasts large visual screens either side and its own bar named after the men that built the stage – Dingles Bar. 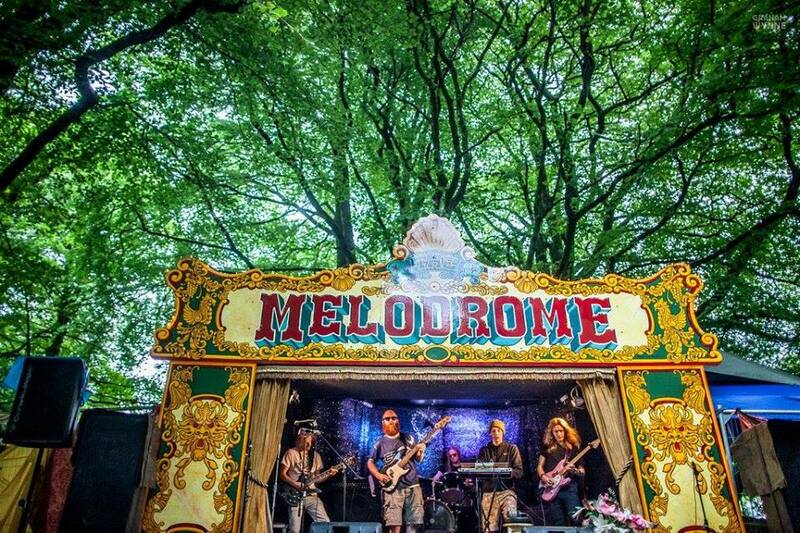 Modelled on the Motte of Urr, our very own mountain towers over the new Hanging gardens of Babylon arena and will be playing host to some amazing trad, classical, celtic and multi-platinum selling alternative acts. Bring an instrument and join in with workshops in the session space. 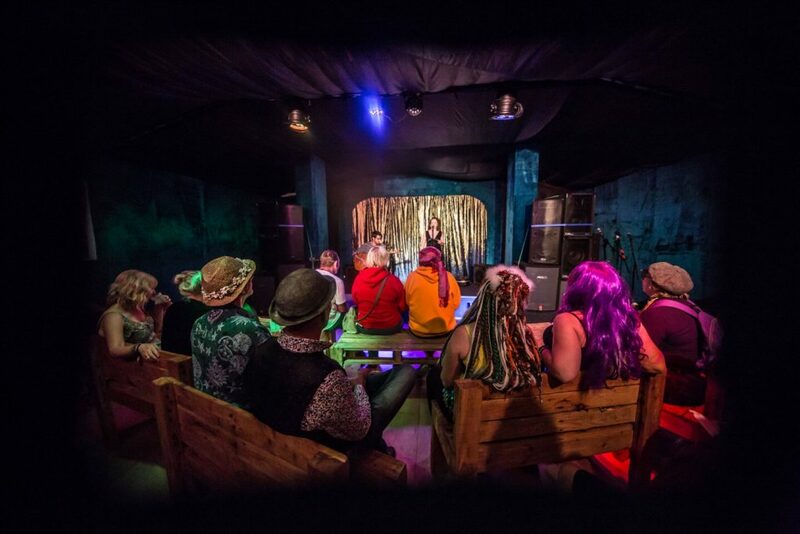 Dance a ceilidh or sit and relax, taking in the breath-taking handcrafted stage from one of the covered viewing areas. 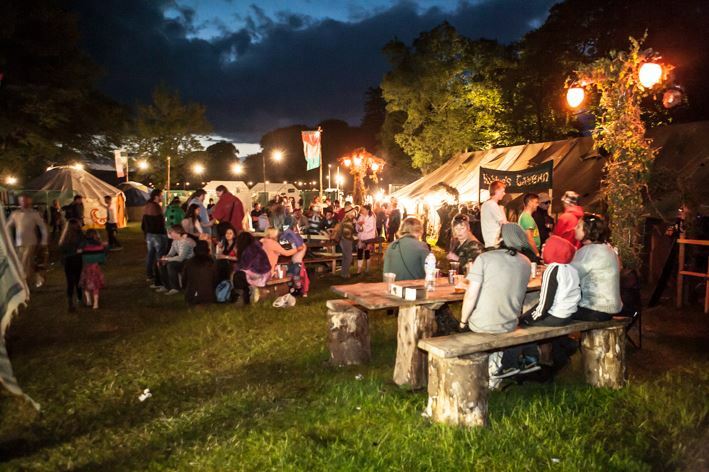 Or get down to the stage's backstage ale and session bar, The Motte & Fiddle Inn, to hunker down as evening descends. Rabbie’s Tavern will provide an auld Scottish bar to drink the local hooch with live bands playing celtic, roots, rockabilly, bone shakin blues and anything else that makes you stomp your foot, hoist yer tankards and get yer melons oot! Rabbies Tavern will also have a traditional Scottish ceilidh each night and some Karaoke with Barry on the Saturday afternoon. 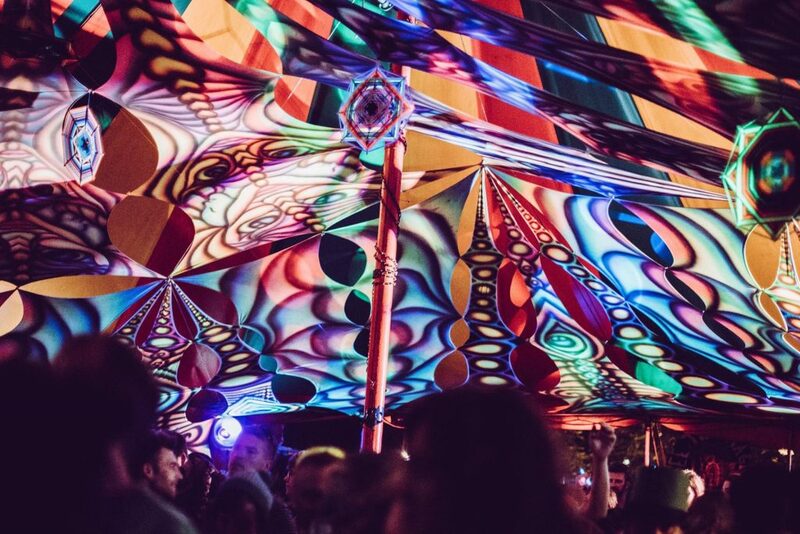 The Ghilli Dhu Dance Tent is a colourful melting pot of everything from Drum ‘n’ Bass to Soca back to Bassline and Breakbeat over to Electro and Techno and anything in between – there will be something to suit any fan of dance music. 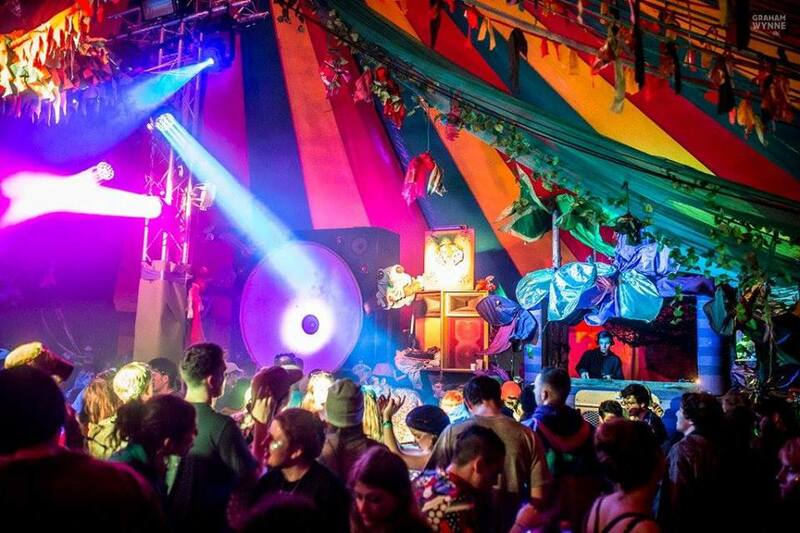 The stage features a vintage bus front dj booth, a 9ft high Uber speaker with visuals running through it and palm trees acting as a canopy overhead. Soundsystem powered by the mighty Pad Thai Hi Fi!! 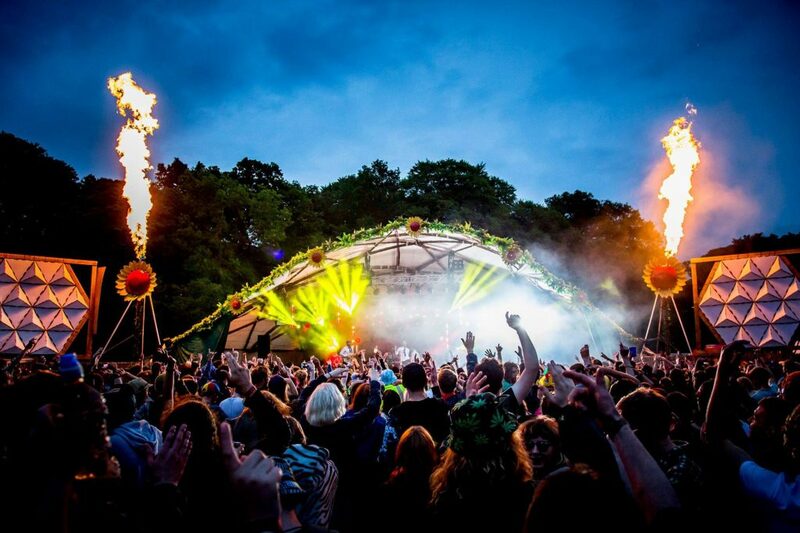 A flaming outdoor dance parlour playing host to some of the finest funky djs and label parties. When the old wooden door swings open at mid night every night its your time to enter the arena and set fazers to stunning! 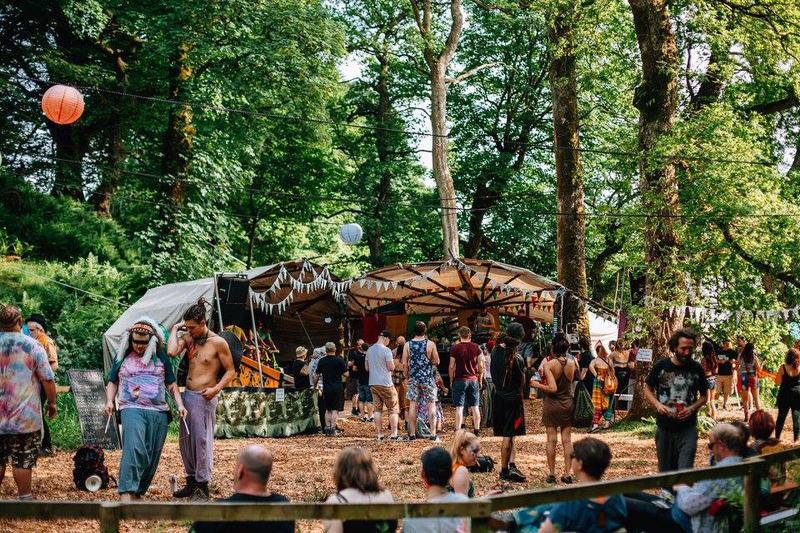 Tune in and drop out – The Vishnu lounge provides a taste of paradise on the fringes of eden, a place to chill out and swing in the hammocks, lounge in the bath tub and soak up some ambient audio treats to a nice hot cup of chai. Aum Shanti. Edens most beautiful stage. Nestled under ancient trees in the open air. 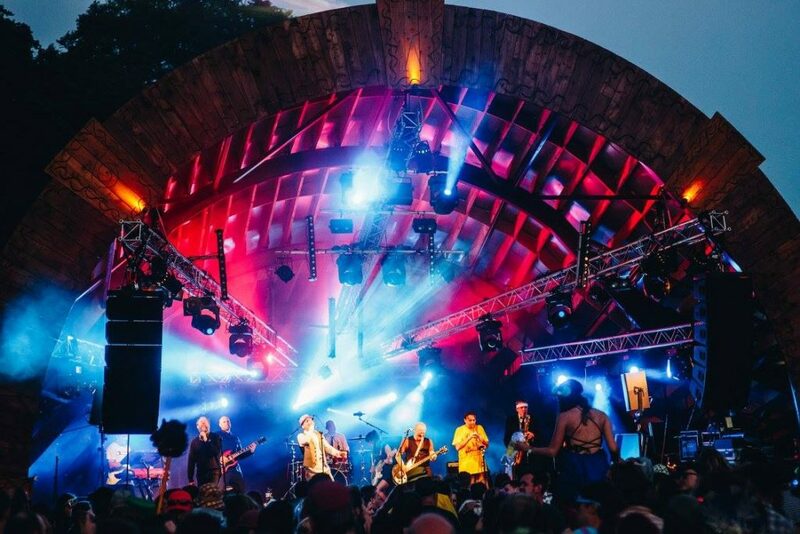 Cross the reggae boardwalk to discover a stage like no other. Expect the finest Reggae and Dub music from top selectors, producers and crews across the north of England and Scotland. This stage is 100% renewable powered with solar-battery powered lighting and decks. The sound system is fully powered by 8 bike generators with highly efficient kit from Reaction Bike-powered Sound System creating an impressive amount of sound. You have to see it to believe it! Rammed to the gunnels with an assortment of hilarious GAMES and ENTERTAINMENT for all AND the finest MUSIC from some of the best DJ'S in the land! There are glorious victories to be had, grazed knees to procure, grins to obtain, hearts to swell, ears to ring, limbs to swing, memories to be made, laughter to be felt, pool noodles to parade, bawz to be played and songs to be sung. We are unlocking an exciting new area of the site this year to offer a woodland play area with stunning trails. For the youngsters there will be den building, wood work and forest skills, marsh mallow toasting, damn building and ‘kick the can’ to name a few of the activities! 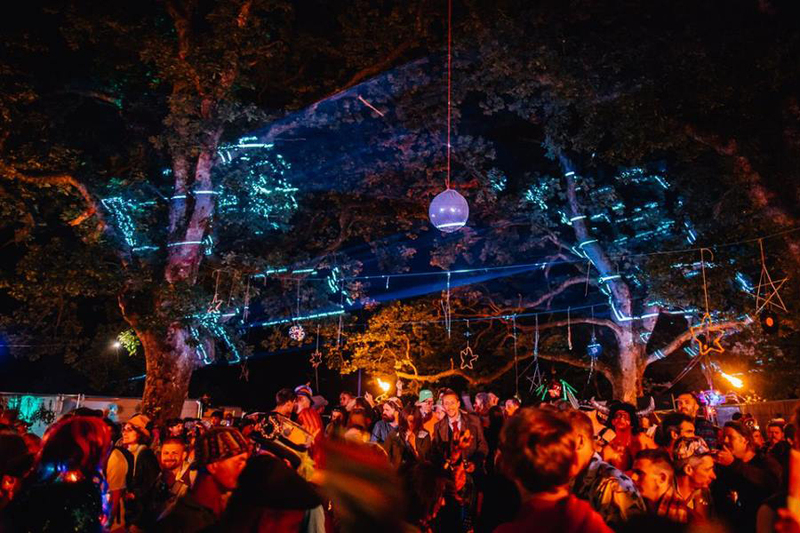 For everyone else there will be beautifully lit up forest walks with swing seats and boardwalks; providing a great escape from the main body of the festival. 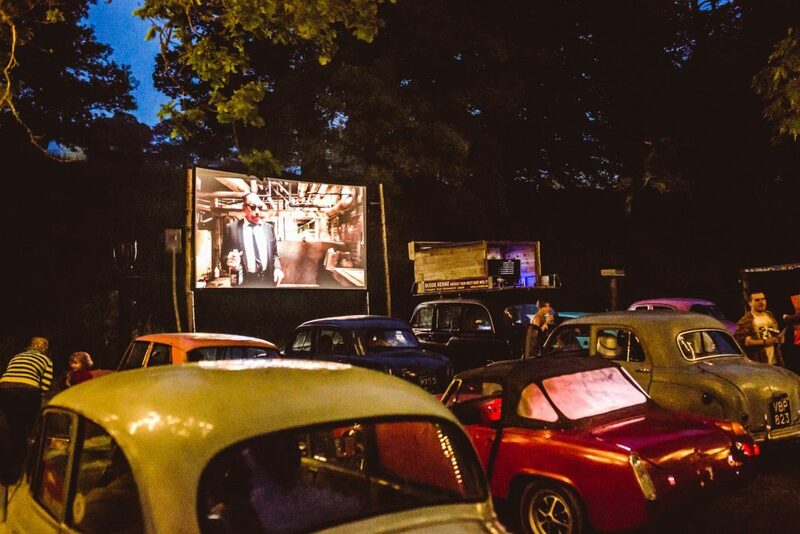 Come along and hop aboard an array of modern and vintage vehicles – from buses to cars to boats to trucks, choose your mode of transport and sit back and watch a collection of fantastic films over looking the pond. Your perfect little get away under the stars. At the centre of every thing is Eden's Permaculture garden, built around a 20ft willow sculpture. 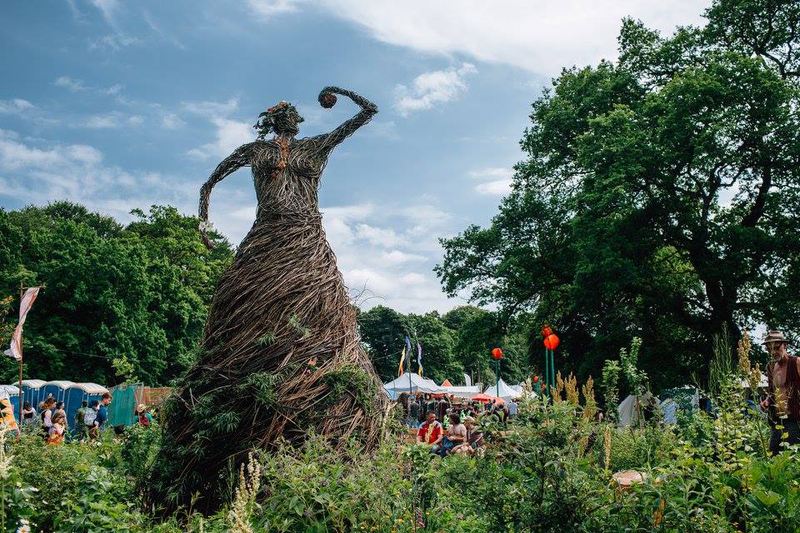 Every year festival go-ers are encouraged to plant something in the garden and be part of its growth and evolution, returning each year to see their contribution grow. Head Gardener David Boyce will be on hand to answer any horticulture questions. 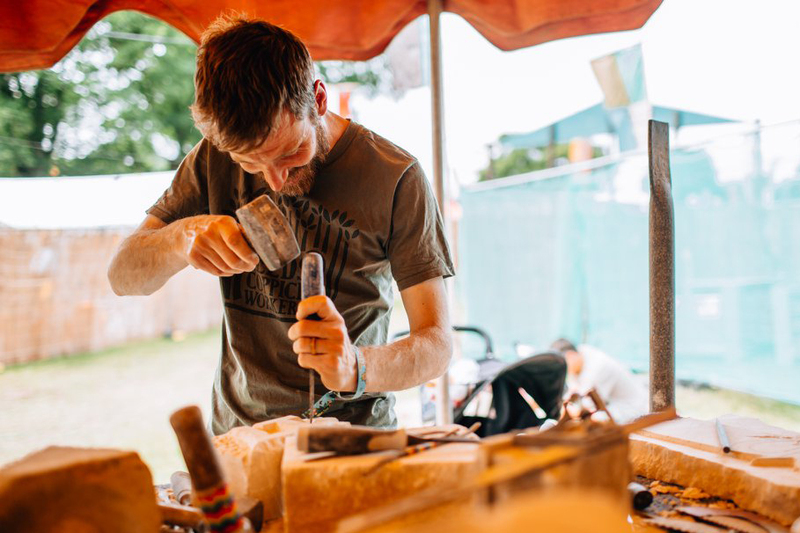 Learn traditional skills from woodwork to blacksmithing. Take home a handmade creation or get zen and balance some stones. Get some green building tips, or try your hand at some sustainable willow weaving - there’s plenty to immerse yourself in within the workshop arena! 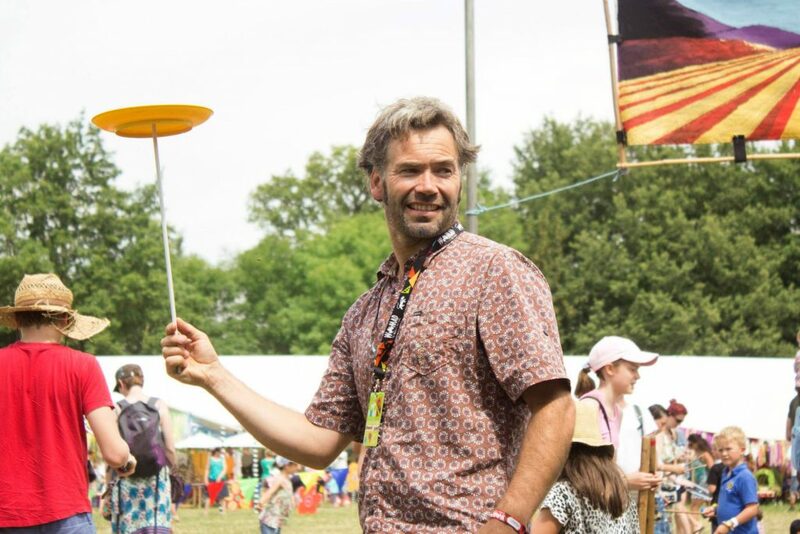 Stand tall as a giant on stilts, Wobble wildly on a unicycle, Teeter, balance and spin… Come join the shenanigans with spinning jenny and her circus team, learn to juggle, hoola the hoop, spin a plate and more…. The Shellycoat Kids Tent offers sustainable, environmentally friendly, arts, crafts, performance, forest skills and play, free of charge for all children, in a pleasant and natural setting. 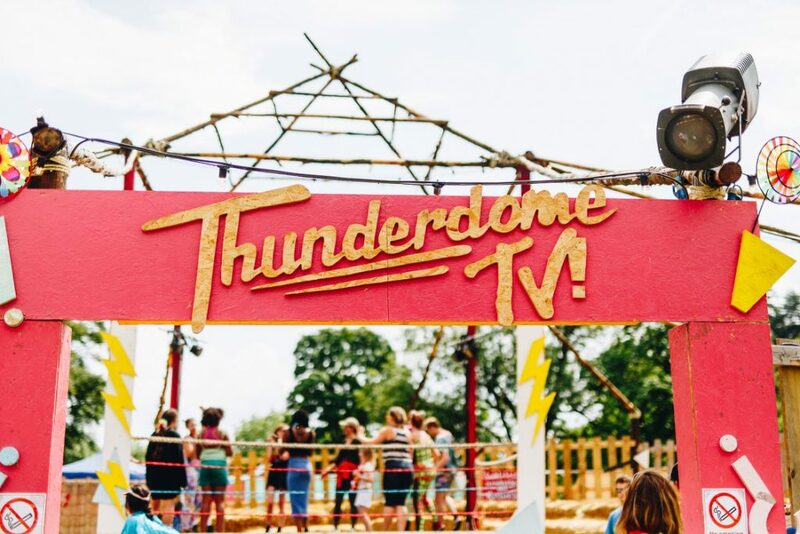 It consists of a decorated craft and performance marquee, a little ones yurt, outside space, and a forest skill’s area under the oak tree. Indoor and outdoor activities take place all weekend from 9am to 8pm. Children are also able to make and take home all their souvenirs from the festival! 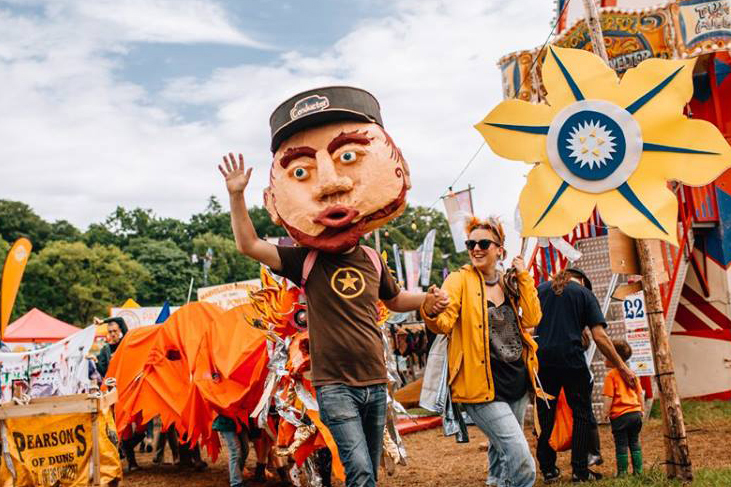 Weekend outdoor events for children include dedicated forest skills activities, water fun and games, treasure hunts, and the ever popular end of festival Kids parade. Physical activities such as parachute games and kids yoga sessions allow everyone to get together, and as children are accompanied at all times parents get to share the memorable experiences. 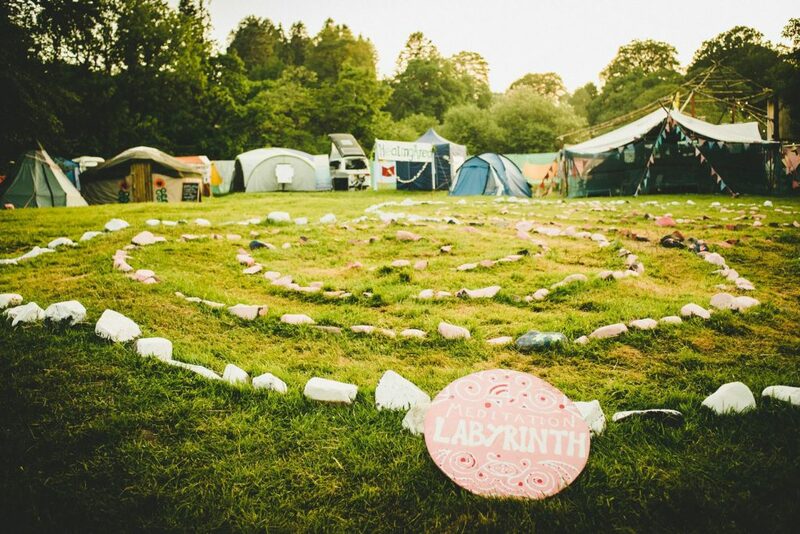 Treatments available at great prices PLUS a rolling program of free treatments offered on a first come – first served basis between 10am and 7pm throughout the festival weekend. Some of these free treatments will be book-able in the afternoon for the following morning and in the morning for the following afternoon but some you just turn up for. 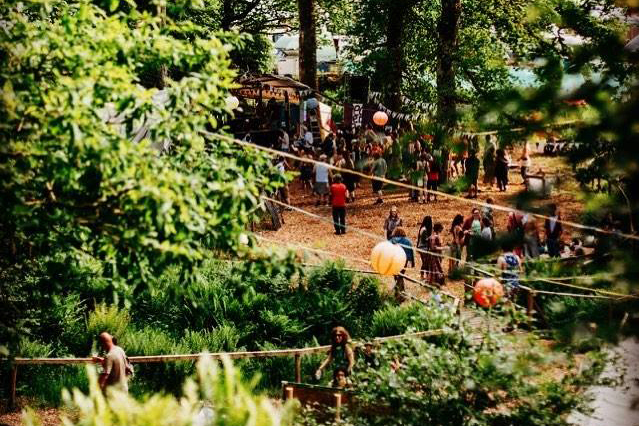 When The Gates of Eden swing open at 10am on Friday The Healing Area will be up and running and ready for action so get yourself down to The Garden and bag your-self a treatment!